After appliances are placed it is common on the first few days (up until 2 weeks) for the teeth to be sore. This can also happen after a routine adjustment. As long as there are no allergies you may take Acetaminophen (Tylenol) or non-aspirin pain reliever (Motrin). Soft foods and nutritious snacks are also recommended. If a brace or band is rubbing against your cheek place wax over the brace. 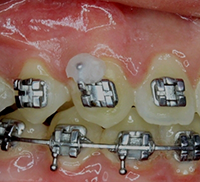 Sometimes discomfort caused by a wire on your braces can be resolved by moving the wire away from the irritated area with a cotton swab or an eraser. If the wire does not move try covering it with a small amount of wax. If the inside of the band is irritating it can also be pushed in with an eraser. 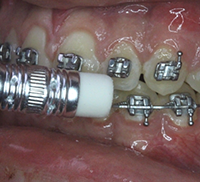 If a brace or band becomes loose on the wire call our office for an appointment. If it occurs over the weekend feel free to call the emergency number for advice. 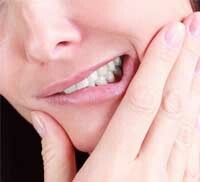 Often during treatment teeth become slightly loose. This is needed so teeth can move into their proper position. If a separator is lost please call our office for advice to help determine if replacement is necessary. If it occurs 1-2 days before your scheduled appointment that usually means space has been made for appliance placement.